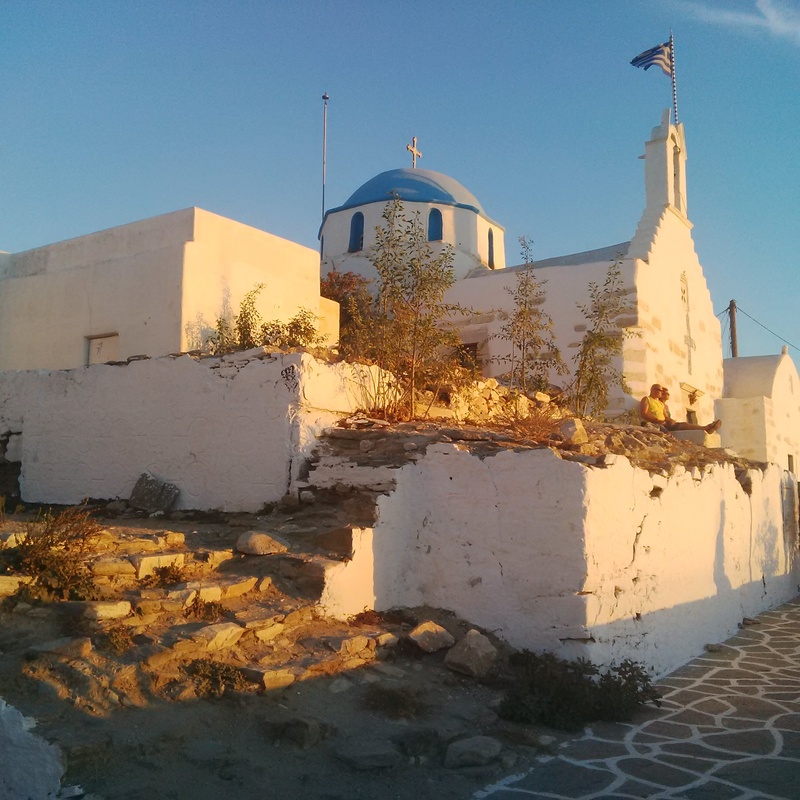 Paros, an afterthought but so worth the stop. | Turning my world upside down! Paros, an afterthought but so worth the stop. If a country where a colour, Greece would most certainly be blue. I have seen every shade of blue I can think of here, from the sea to the sky and all manner of building and their furnishings. I love it! It makes me want to go home and paint the whole house white and buy exclusively blue cushions. We are in Santorini today, a town called Akrotiri to be precise. We arrived here yesterday after an overnight stay In Paros where we stayed at the loveliest boutique hotel. I sure know how to pick them, I tell you! Our room was all done in soft grey and white (for a change). The owner gave us a tour of the pool area where breakfast was served the next morning. What a spot! I can’t think of anything that was missing in this private club atmosphere. Fluffy towels, complimentary fresh fruit, great music and of course a wonderful salt water pool! Amazing place! We never did leave until it was time to wander into town for dinner. We walk through the old town, which reminded me of a modest Mykonos with winding streets and trendy shops. There we saw the Frankish castle which had been built using materials from Athena’s temple, now barely discernible. We then walked on the strand where people stroll and restaurants have tables on the waterfront. We visited the cathedral of Panagia, also know as Our Lady of a Hundred Doors, one of the oldest churches in Greece (4th century). It is a church dedicated to the Virgin Mary who is said to have appeared to a local nun and told her where to find a long forgotten icon of Jesus’ mother. This event was said to spur the Greeks onto claiming liberation of their country from Turkish occupation. Many people believe the icon has healing powers as well. 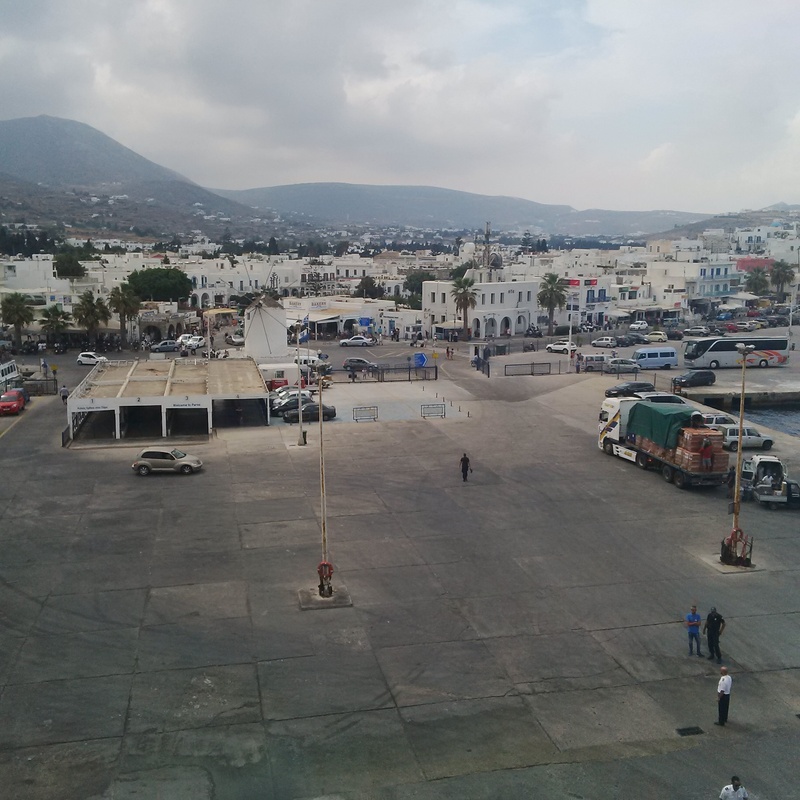 And here’s another little tidbit on Paros: it is well known for its quality marble. Venus de Milo and Napoleon’s tombstone we both carved from the white marble originating from this island. We ended our evening with a quiet dinner along the strand and walked back to our hotel where we had a most restful sleep. Here I have to stop and tell you again about how helpful Greeks are. We left our jackets behind at this lovely hotel and they were kind enough to put them on a ferry the next day for us. Amazing or what? I simply used booking.com to choose my hotels. The islands were chosen from the bit of reading I did. And of course, we had to see Crete and Naxos since my daughter is named Ariane, like the princess in mythology. More beautiful photos. If ever we decide to visit Greece, I will have to get your list of hotels. It sounds like you stayed in amazing locations.